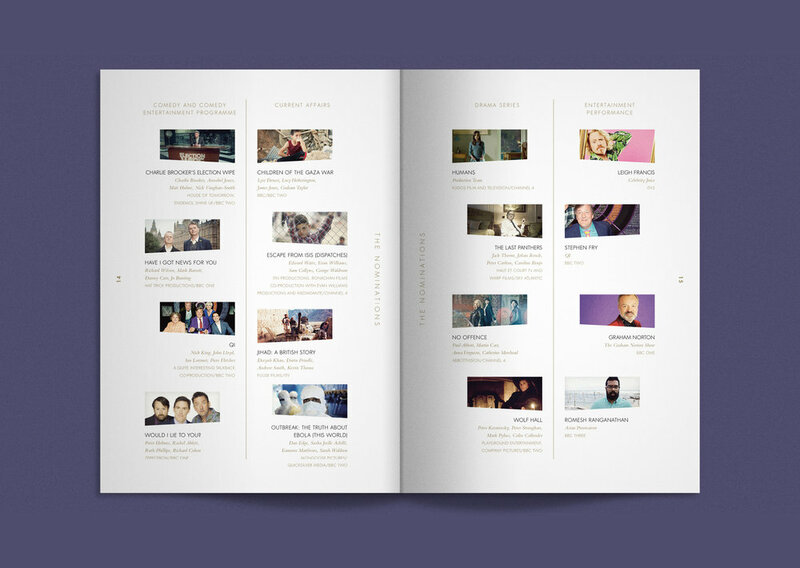 A beautiful suite of printed collateral that told a story at BAFTA’s Television awards. 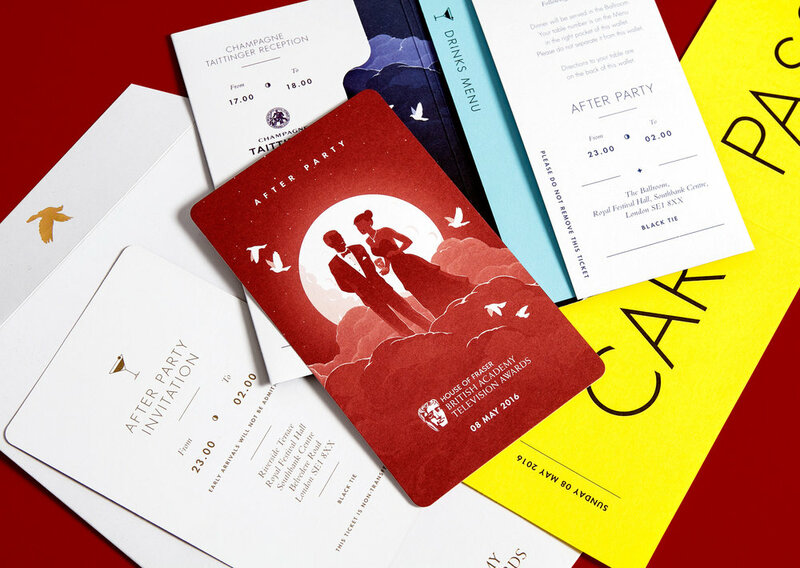 We were responsible for designing a diverse range of collateral: tickets, menus, car passes and the awards brochure handed out to attendees. 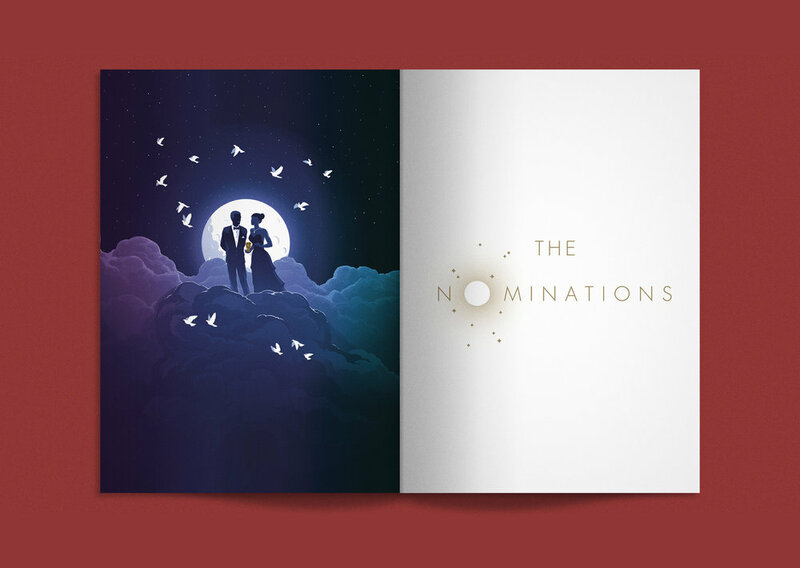 Following on from our work on the 2016 Film Awards, we again commissioned and art directed illustrator Levente Szabo to create hero imagery to be used across the campaign. Collaborating closely with BAFTA, who supplied the editorial content, I created all the layouts and typesetting for the brochure, and worked hard to ensure the final deliverable was high quality and meticulously considered, a printed piece well befitting of one of the most important evenings in the entertainment industry.